We all know and have been told time and time again that taking care of our skin is VERY important. I got into skin care three to four years ago, tbh…I love skin care products more than makeup (for some of you that’s strange) I love the natural look that a good skin care routine can achieve. 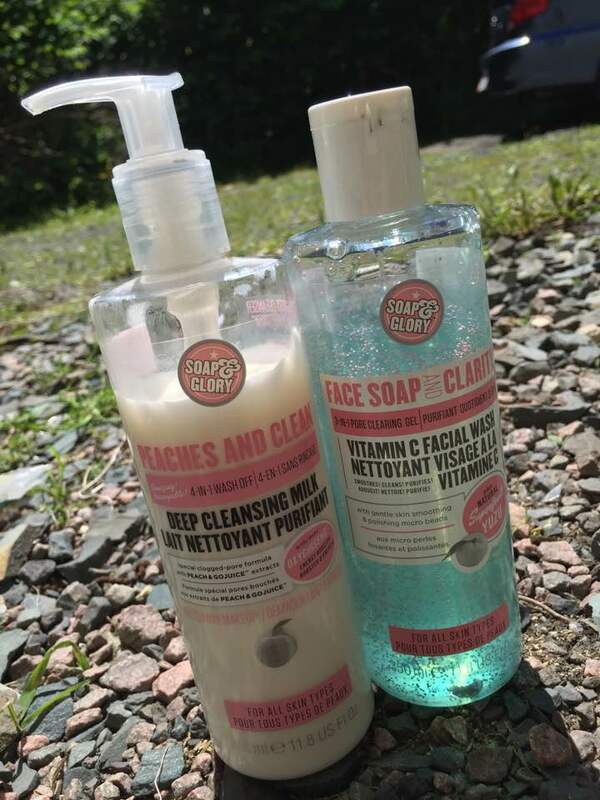 I am obsessed with Soap & Glory; it’s the best and smells delicious (like peaches), but I also combine other products to create my favourite ritual of the day. Washing my face in the mourning is my favourite thing to do, of course after I stayed in bed for an hour scrolling through Facebook and snapchat, I use two pumps of Peaches and Clean as a way of refreshing my face and washing off any dirt accumulated during the night. After my face is feeling clean and fresh I grab a grape size drop of Face Soap and Clarity to exfoliate my face, I do this just because I like the feeling of exfoliating my face (hahah), I do not find exfoliating my face everyday is harsh at all. After all that cleaning my face tends to feel a little tight that is why I use Origins Balancing Tonic water, this brings back the moisture and elasticity to my skin and gain it is feels really refreshing. The final two steps of my routine is applying a little droplet of the Fab Pore moisturizing cream (in fan motions) and tiny tiny dot of pep-start eye cream under my eyes to give it a little booster. 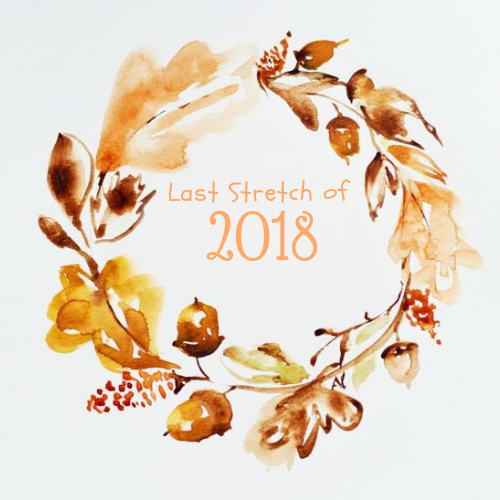 Night time rolls around and the only thing that changes is the last step. 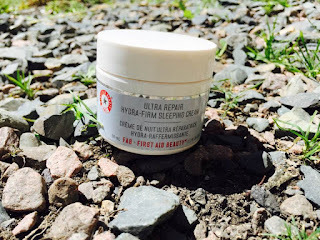 Instead of using the Fab pore moisturizing cream and pep-eye cream, I use First Aid Beauty Ultra Repair Hydra Firm Sleeping Cream. This is a really thick cream perfect for pampering yourself right before bed. The best thing is when you wake up your face feels like the softest thing you know…. A baby’s bum haha. My favourite skin care routine of 2016!!! Peaches and Clean (left) and Face Soap and Clarity (right) perfect for all types of skin. I have combination skin and these two products work perfectly. 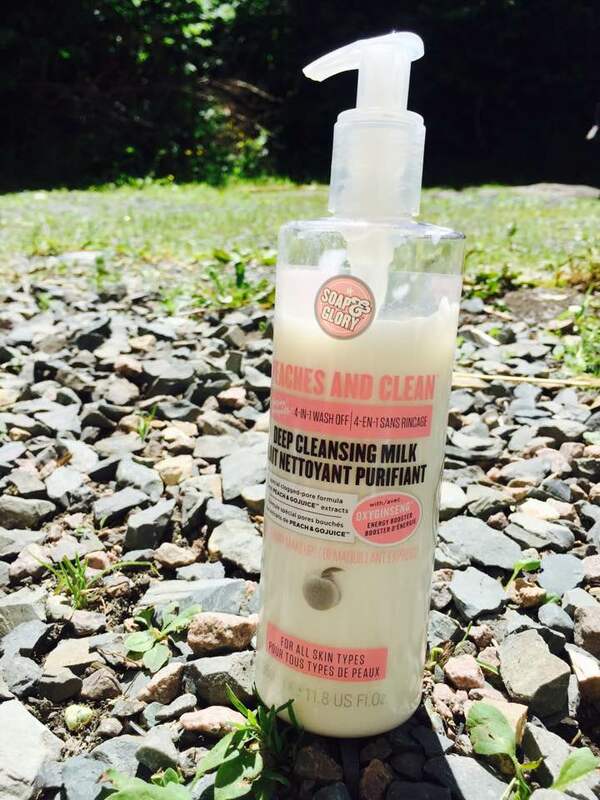 Peaches and Clean cleanses the skin from any dirt accumulated during the day and night and it also cleanses makeup. Face Soap and Clarity deep cleanses your skin, exfoliates and works as a second cleanser. Both smell like peaches its delicious mixture for the face. 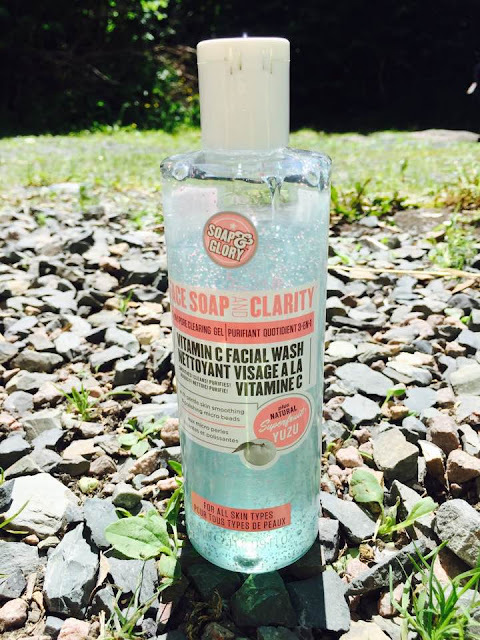 A soft every day exfoliate facial wash. 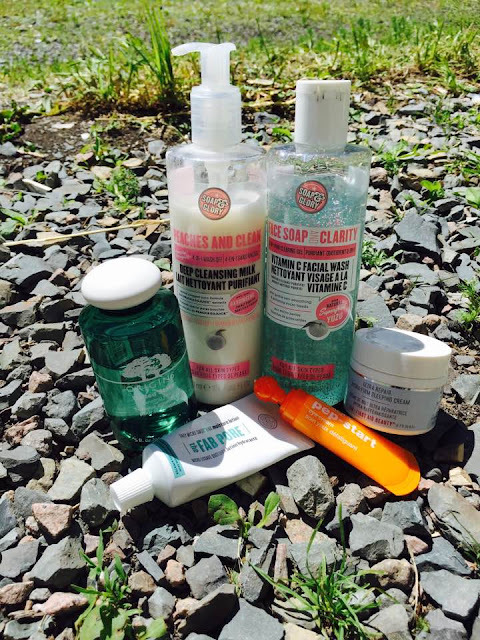 The perfect moisturizing trio for combination skin. 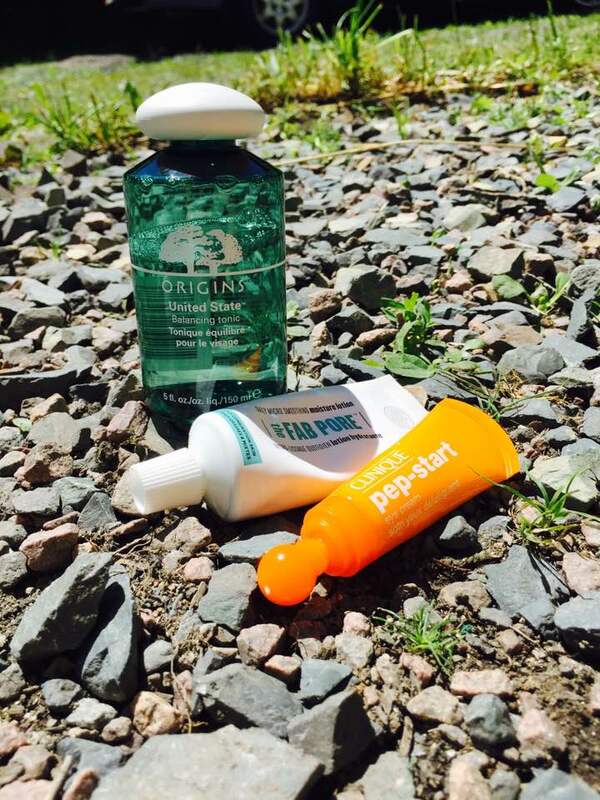 Origins Tonic water (far left) the FAB pore (middle) Clinique pep-start (closest) Origins Tonic Water is perfect to bring moisture to the skin after washing it and exfoliating it, the FAB pore is really moisturizing and helps with pores, Pep-start helps with lifting and brightening the under eye in the mornings. 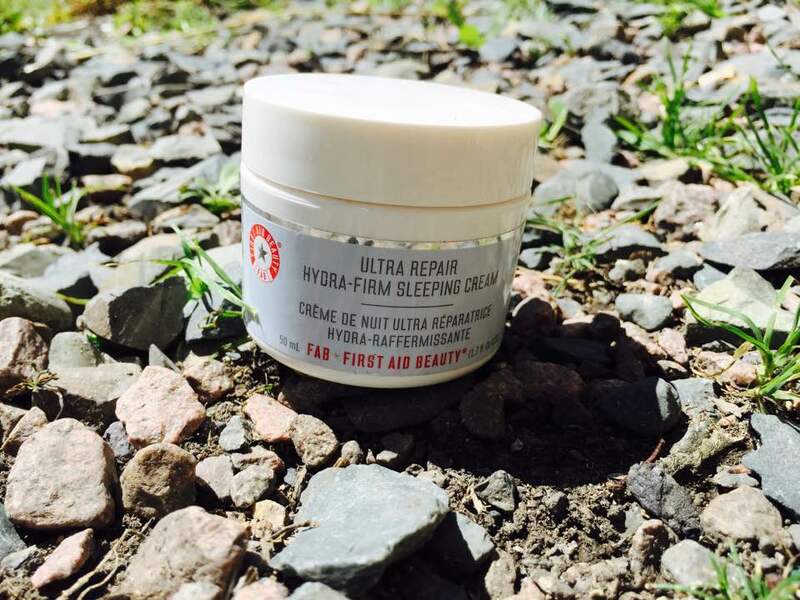 For the perfect pampering evening cream, I use Ultra Repair Hydra Firm Sleeping cream from First Aid Beauty. It is of thick consistency and it is absorbed really fast and you wake up with the most amazing skin EVER! Totally recommend if you suffer from dry skin during the winter months it brings moisture back during the night. These are few of my favourite things (skin care wise). Hopefully you enjoyed my second post. Any positive or constructive comments are welcomed .